We are all on tenterhooks awaiting further news of the upcoming LEGO® Ideas Voltron set. But yesterday the LEGO Ideas team instead announced the results of their latest review, which examined seven successful fan creations to decide which would be released as a real LEGO product later this year. Spoiler alert if you've not watched the reveal video... it's going to be Pop-Up Book, by Grant Davis and Jason Allemann. 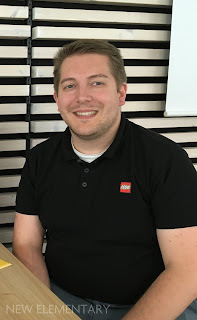 Thanks to the help of New Elementary readers, our reporter Are J. Heiseldal was inside LEGO HQ in Billund yesterday, for LEGO Fan Media Days, where he spoke to Senior Designer Samuel Johnson about Pop-Up Book and the other fan creations that didn't make it. How obvious was the choice of the Pop-Up Book as the next LEGO Ideas set? Samuel: For us, it was nice to see something that was not only an original idea from someone with no intellectual property attached – coming from their brains, so to speak – but they also linked to their personal portfolios of MOCs, where they were doing all kinds of things with the concept. So we thought, ‘Whoa, imagine if we could bring all that to a LEGO set?” Simply endless storytelling. That’s something we have a big focus on in our product lines, like Nexo Knights, Legends of Chima, Friends, City… they are all about telling stories. In Grant Davis and Jason Allemann’s submission, they’re basically using fairytales as an example, and in the same way as Hollywood translates a book into a movie, we were excited by the idea of translating stories into LEGO form; just doing what’s in the submission, but really just explode the concept. We saw so many options for great storytelling and great characters, especially when you think about how we can access all the new elements, or re-colour or print on these elements. It’s going to be really exciting when we get further on. 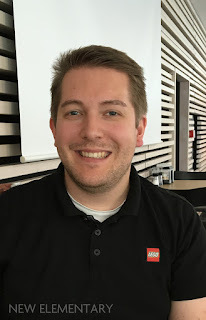 This is Jason Allemann’s second LEGO Ideas set. The first one, the Maze, included building instructions for two different mazes, and it’s not difficult to see how the same concept would be a possibility with this: interchangeable content. Is that something you’re considering? Samuel: Yeah, that’s something that Jason is really good at. He has this eye for the “build your own…” concept. So that’s definitely something that we want keep in some way, whether it be things that you switch out, the way they’re already doing in their submission, or if it’s rebuilding the parts inside. And maybe the whole thing can even evolve into a series. That would be a dream – imagine people having a bookshelf of only LEGO books! With Women of NASA – and this caught us somewhat by surprise – we saw that parents and gift-givers bought the sets to try to inspire kids to go into science. In that way, this is an amazing outlet, finally a toy that actually explains what science is. We can see the same thing happening here – maybe it would be an adult or an older kid building the set, but you can also easily imagine a family sitting together, telling the story themselves. It’s essentially a ‘tell your own bedtime story’ kit, and it can be the same characters over and over again, but a different story. And there’s probably less bedtime reading going on than there was before. Samuel: Yes, but imagine if we could supply the story as well? Maybe we can publish a real book to go with it? There’s hundreds of options like that that we could do with it, and we’re super excited to get started on making it. So you’re saying that this choice was almost a no-brainer. Samuel: It’s an amazing opportunity for open creativity and storytelling. But regarding the other ones that we rejected, we would definitely have loved to expand the Old Fishing Store into a whole world. But we’ve just launched a product and don’t want to see a new product cannibalising the previous one. We really love it, and we see that the fans really love his style, but unfortunately it was the wrong timing for those ones. That being said, he’s got loads of other buildings, so there’s definitely a chance that maybe we’ll have him return as a fan designer again. You also have to remember that we have limited frames of how many sets we can make. We’re coming up to three this year, by the time Voltron comes out, and we normally do around three or four a year. We can’t push it too far, because that would mean that we’d have to take people from somewhere else - and then cannibalise another team. So there’s loads of constraints that we run with and we hope that we just give everybody the best option for what they chose. So we had an open mind for the other submissions, but the pop-up book is the model that we’ve chosen this time. Here at New Elementary we're huge fans of Jason's work, and understand that Grant is a bit of a fan of New Elementary – thanks for that shout out, Grant! So we're especially excited to see what LEGO Ideas do with this particular idea. Let us know your thoughts in the comments. If you are a fan of New Elementary too (see what we did there?) it's not too late to join in on our 2018 fundraiser. We reached our target, hooray! But more support means we can afford to run more competitions and parts festivals in 2018. All text and images are © New Elementary unless otherwise attributed. I have been following Grant and Jason for awhile, and when I learned that they were collaborating, I was thrilled. Of course, I supported the project, but it kind of fell off my radar. This is a beautiful model with a well executed action feature. I can't wait to get this when it comes out! Is there an estimate on when it will be released? Spring 2019? Later? What is the usual delay? Also, do you have any sort of price estimate? 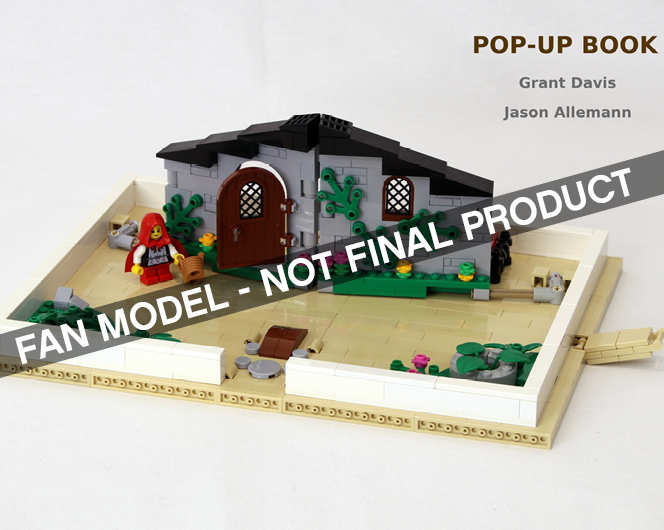 This is also Jason's 2nd Ideas model that has became a set. I'm betting he will be the only one with 2 for awhile. Great article/interview. Its cool to see the inside look on how these decisons are made, and possibly on how to make a more effective ideas model. Thanks for the amazing content, as always! I can't wait for more parts festivals in the near future! Watch the reveal video linked to in 1st para - I recall them saying it'll be on shelves by end 2018? I enjoy all the builds Jason posts. I love that he openly shares his techniques and his detailed videos make it easy for us to build our own versions! BTW, Alatariel was the first person to have two ideas sets: Research Institute (21110) and Big Bang Theory (21302). And he's so nice too! Do you know what happens with the Ideas that don't get picked? Do they just not get looked at again? Reading here some of these lost because of internal products coming out. It would be cool to see them pull old Ideas that didn't win and let them have another go. No, there are three possible results when something goes to review. A green checkmark means it was accepted and they plan to release it. A red X means it has been rejected and will not be reconsidered. And it's been a while since we saw something fall into the third category, but I think it's marked in yellow (can't remember the character), and it means that the project has been held over for reconsideration. Early on when they hadn't yet rolled out the basic guidelines on what will get you booted to the curb, they used to hold over quite a few, possibly to make sure they had enough clear to get through the year. Lately, it seems they only hold over a project until a later review announcement when they're still working on the licensing and don't want to pull an Apple by announcing they have a deal only to find out they really don't. Anyways, these all have a red X other than the one that got accepted, so the only way they'll end up going through review again is if they get redesigned, resubmitted, and clear the 10k threshold a second time. We have yet to see a redesigned project make it to review.